Steven McDaniel and Michèle Welborn of Planet Zyz are teaming up with the Living Archive in Milton Keynes to work with a group of young talented songwriters and instrumentalists. 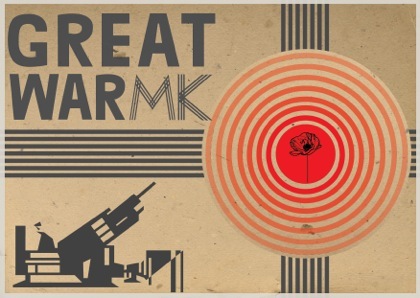 The aim is to create new songs inspired by the original testaments of people from the Milton Keynes area who lived through the First World War, which draw parallels with today’s world 100 years later. We will work as facilitators with the songwriters to help them create songs and arrange them for a small ensemble of instruments. The music will then be professionally recorded and an album of quality will be created. The project will culminate in a concert in which the newly created music will be performed. We are looking for young talented songwriters and instrumentalists aged up to 25 years. We have successfully recruited a group of talented songwriters and now need more instrumentalists to work with – so please spread the word, or get in touch if you think you could be part of this project. Contact: Steven McDaniel – steven@planetzyz.com or call on 07734 103182.